After what must have been a lot of rain today. I’m starting to think someone doesn’t want me to be able to grow fresh lettuce. Finally through with freezing rain and ice cold temperatures, I thought the lettuce was over the hardest part. Then I came home from work today. I dumped out the water and hopefully it’s none the worse for wear. I went to let darn dog Chloe outside and was shocked to see my precious little lettuce drowning in one of the containers! “Yikes,” I exclaimed and carefully dumped out as much water as I could without taking out the lettuce, too. 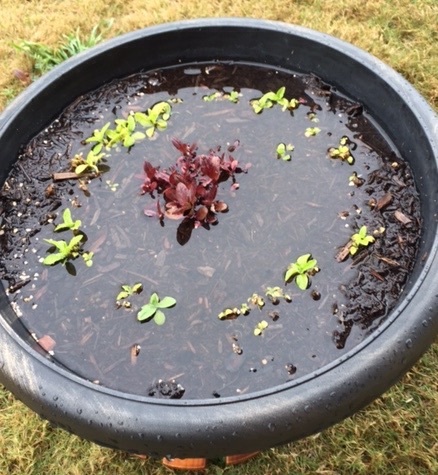 Weird thing is, the standing water was only in one of the lettuce containers – the other one sitting right next to it was fine. Not sure how so much water ended up in only one container. It’s almost like all of the 1-2 inches that fell went directly into that one pot. But hopefully the lettuce will survive, because it’s about to get rewarded with sunshine and temperatures in the 60s and 70s through the weekend. Who knows, maybe by next week I’ll even be able able to have my own homegrown salad. Okay, I agree that’s probably wishful thinking. But you can’t blame a girl for trying! 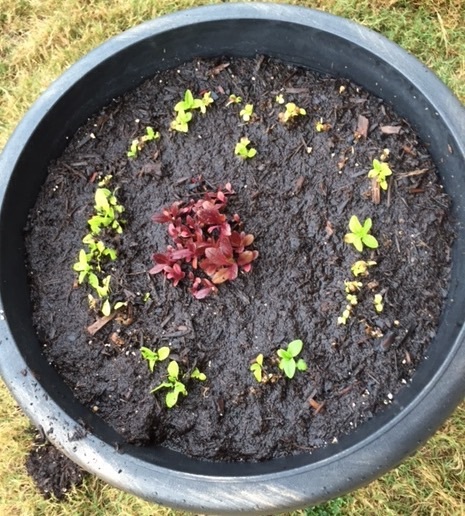 This entry was posted in Gardening and tagged Container gardening, lettuce, rain on March 9, 2015 by Julie Riebe.